Modern historical study of the Gospels seems to give us a new portrait of Jesus every spring--just in time for Easter. The more unusual the portrait, the more it departs from the traditional view of Jesus, the more attention it gets in the popular media. Why are scholars so prone to fabricate a new Jesus? Why is the public so eager to accept such claims without question? What methods and assumptions predispose scholars to distort the record? Is there a more sober approach to finding the real Jesus? Commenting on such recent releases as Bart Ehrman's Misquoting Jesus, James Tabor's The Jesus Dynasty, Michael Baigent's The Jesus Papers and the Gospel of Judas, for which he served as an advisory board member to the National Geographic Society, Craig Evans offers a sane approach to examining the sources for understanding the historical Jesus. "Few scholarly debates are more controversial or more vulnerable to distorted views from right and left than the discussion about the historical Jesus. The increased attention given to extracanonical texts such as the recently published Gospel of Judas and even the fictional vapors of The Da Vinci Code can seem in the eye of the casual reader to put the historical and theological credibility of the New Testament materials themselves in question. That is why Craig Evans's thoughtful, well-informed and balanced review of the debate is so welcome. Fabricating Jesusis not a reaction to modern biblical scholarship but a judicious guide through the evidence--and a fair-minded and careful assessment of how scholars have dealt with it." "Craig Evans has written a necessary book on historical Jesus research. His book is exemplary for a 'conservative enlightenment.' It is aptly critical as scholarship--but it is also critical of sensational modern approaches in Jesus research that do not live up to the standards of academic research. In this well-written, lucid book, Evans informs readers of exciting new developments in Jesus research which outdate some hypotheses that were once in vogue. He knows academic scholarship from within--and also the very human aspects of all those who are engaged in Jesus research. So it is not only a very good scholarly book, but also a noble and fair book." "This book belongs with the excellent work Craig Evans has already published on the historical Jesus. Professor Evans consistently uses evidence in a truly scholarly and properly balanced manner to reach convincing conclusions--so different from some sensationalist claims about Jesus that quickly turn out to be based on mere wishful thinking. This is contemporary Gospel apologetics at its very best." "In Fabricating Jesus, we have one of the greatest talents in biblical studies applying his skills to one of the biggest problems in popular culture--the eclipse of the true Jesus, to whom history gives abundant witness. Craig Evans does a masterful job of exposing the sort of tabloid scholarship that captures headlines and confuses the general public. He returns us to the clear-headed analysis of genuine historical inquiry, demonstrating the reasonableness of the Gospel accounts. This book will clarify matters for ordinary readers, yet satisfy scholars too." "Craig Evans is a prolific and distinguished scholar whose many books and articles are well known to his colleagues in the academy. Fabricating Jesus adds another fine work to the list of his accomplishments. For decades now, the unsuspecting American public has been subjected to dubious academic claims about the historical Jesus that hardly rise above the level of sensationalistic novels. In particular, the Coptic Gospel of Thomas has been misused as a privileged route to the historical Jesus, when in fact it is an interesting and valuable source for knowledge of the patristic period. Especially in regard to the Gospel of Thomas, Professor Evans's arguments against the misuse of apocryphal Gospels are especially cogent. This book is a healthful antidote to a great deal of what claims to be the quest for the historical Jesus in the United States today." "Many recent studies of Jesus are arguing that evidence requires a Jesus redo. Some works are written by well-known academics, while others are written by less well-known authors. 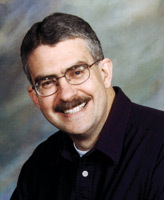 Enter Craig Evans, who has given his life to the historical study of Jesus. Mincing no words, he calls most of these efforts what they are--fabrication. However, his tone is irenic, the style is accessible, his argumentation is sound, and his scope is comprehensive. This book is a necessary exposé of many recent works, taking us from the hype to the historical Jesus. Eminently qualified, Evans has done us all a great service." "Craig Evans is well-known in academic circles for his expertise in Judaism and the history of early Christianity. In this new book he brings a refreshing mixture of scholarly erudition and critical common sense to an evaluation of the various documents that have been thought to undermine the credibility of the New Testament and demonstrates convincingly that they cannot bear the burden of proof that has been placed upon them. Such documents as the Gospels of Thomas and Peter have no significant new light to shed on the historical Jesus. At a time when much baseless fiction is being developed by novelists on the basis of such dubious sources, it is good to have this exposé of just how fictitious such writings are." "This powerful and persuasive book is a much-needed antidote to the outrageous distortions about Jesus and the Gospels that have been popularized in recent years. It's authoritative while still being accessible, and well-argued without being mean-spirited. I strongly recommend this outstanding resource to both Christians and spiritual seekers." "Few scholars are as well positioned, well trained and well informed as Craig Evans to critique the recent spate of books that have hit the stands, touting a new Jesus for a new day. In a scholarly world where almost anything can pass for knowledge of the historical Jesus or earliest Christianity no matter how far-fetched, it is comforting to have someone like Craig Evans as a sure guide through the maze of books on Jesus and supposedly lost Christianities. Fabricating Jesus is simply the best and most well informed popular-level book ever written on the Gnostic and apocryphal Gospels, as well as on a host of other early traditions that in some way touch on the story of Jesus. Along the way, Evans also provides us with a sane and sober reconstruction of Jesus and his aims and the history of earliest Christianity. I hope this book will gain the wide audience it so richly deserves." Ben Witherington III, Professor of New Testament, Asbury Theological Seminary, and author of The Jesus Quest and What Have They Done with Jesus? "The quest of the historical Jesus has been seriously misled by much poor scholarship and distorted almost beyond recognition by recent pseudoscholarship. But now Craig Evans out-skeptics the historical skeptics, demonstrating from his own intimate familiarity with the biblical texts and his mastery of ancient sources how unfounded are many of the claims made and how ridiculously bizarre are the hypotheses thought to give some support to The Da Vinci Codeand its like. The mature judgment of such an accomplished and front-rank scholar cannot be ignored or lightly gainsaid--a welcome draft from a clear spring after all the muddied waters of recent years." . . .great value for evangelicals. Evans demonstrates that good scholarship is on the side of Scripture. "This is a work that can be given to a genuinely interested skeptic, and you will not be embarrassed. Recommended." "Dr. Evans has done a formidable service to evangelical Christianity . . . [and] has ably championed the integrity of the original New Testament documents as reliable evidence of the traditional Historical Jesus." "[A]s a resource to quickly find some responses to or literature on some bewildering issues in Jesus studies, this volume will prove very helpful." "Fabricating Jesus is an excellent resource for basic information about the texts, issues and major players in the historical Jesus debate." "In this book, aimed primarily at a nonspecialist audience, Craig A. Evans intends to show that traditional views about the Gospels and Jesus are historically well founded. Evans brings his considerable expertise to bear on a wide variety of topics." "Overall, this work makes a major contribution to historical Jesus studies." "In the genre of conservative evangelical responses to The Da Vinci Code and the Jesus Seminar, Fabricating Jesus stands out as a generously civil yet firm critique of the way some scholars distort Jesus." "[This book] is a timely, succinct, and well-written guide for those perplexed by this subject that is much in the news these days. In this wide-ranging book Evans covers numerous contemporary and perennial academic topics related to the historical Jesus." 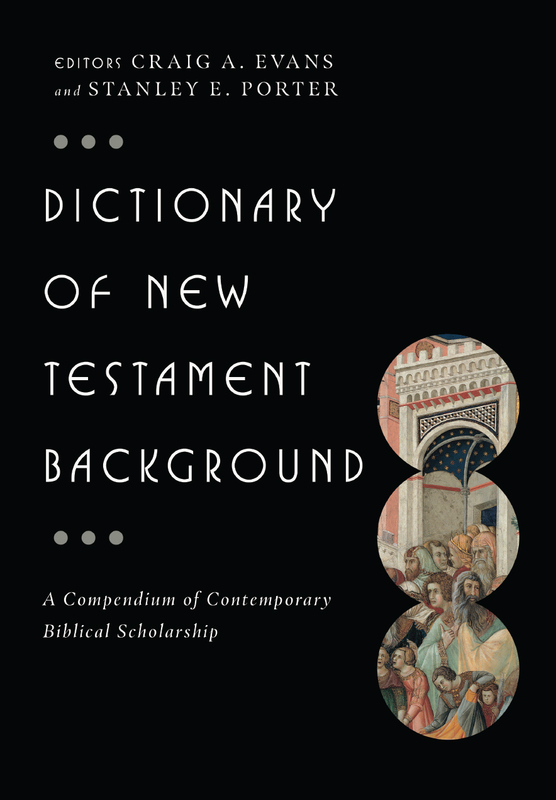 "This thorough, well-written book debunks a number of serious but widespread and influential misinterpretations of the New Testament Gospels, and thus provides an invaluable service." "Fabricating Jesus is yet another resource from Evans to help our generation wrestle with the challenges of radical skepticism." 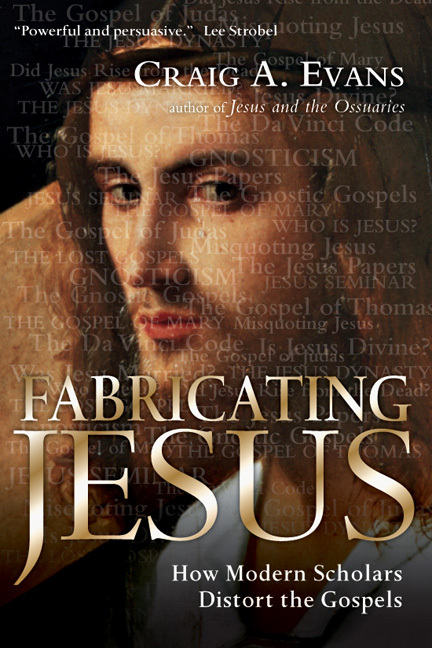 "Fabricating Jesus exposes the misinformed nonsense that has confused the reading public over the past few years. Craig Evans is a well-read and thoughtful scholar who knows all the ancient texts. In this well-written book, he exposes the misguided assumptions and dubious sources that lie behind the wild theories that have plagued the public. He has also presented Jesus and the Gospels in their proper historical context. With enthusiasm, I recommend this book for scholars and all interested in Jesus and Christian origins." Appendix 2. What Should We Think About the Gospel of Judas? Download an author biography with the author. Craig A. Evans (PhD, Claremont) is an internationally known and respected New Testament scholar, apologist, and author who serves as the John Bisagno Distinguished Professor of Christian Origins at Houston Baptist University. He has written extensively on the historical Jesus and the Jewish background of the New Testament era. A prolific writer, Evans has published more than seventy books and over 500 journal articles and reviews, and his books have been translated into several languages. His academic and popular books include Jesus and the Jihadis, Fabricating Jesus, From Jesus to the Church: The First Christian Generation, Jesus, The Final Days: What Really Happened (co-authored with N. T. Wright), Jesus and His Contemporaries, Matthew (in the Word Biblical Commentary), and Ancient Texts for New Testament Studies. His edited volumes include Studying the Historical Jesus, Dictionary of New Testament Background, and Christian Beginnings and the Dead Sea Scrolls. Evans has lectured at several prominent universities and seminaries around the world, including Cambridge, Durham and Oxford in the United Kingdom, Princeton and Yale in the United States, and Hebrew University and Ben Gurion University in Israel. Uniquely skilled to communicate biblical scholarship through the media, Dr. Evans has reaffirmed the uniqueness and supremacy of Jesus Christ to millions of people on television, by radio, and in print media including Dateline NBC, National Geographic Channel, Discovery Channel, The History Channel, The BBC, New York Times, Global TV, Wall Street Journal, and The Washington Post. In addition, he served as consultant for The Bible television miniseries, viewed by over 100 million Americans. Download the Q&A with Craig about Fabricating Jesus.